Knocking down kitchen walls makes a space larger and more open, but it’s far from cheap. 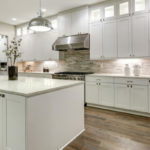 There are more affordable ways to make your kitchen look and feel bigger without spending a fortune knocking down kitchen walls. Loadbearing walls, or walls that help uphold the structure of your home. Knocking down loadbearing walls typically requires a structural engineer. Walls with plumbing running through them require a plumber because you’ll have to redo plumbing. Walls with electrical components require an electrician to safely knock down and rewire. 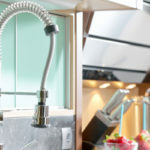 If you’re trying to stay on a budget, here are several ways you can make your kitchen look and feel bigger without knocking down walls. 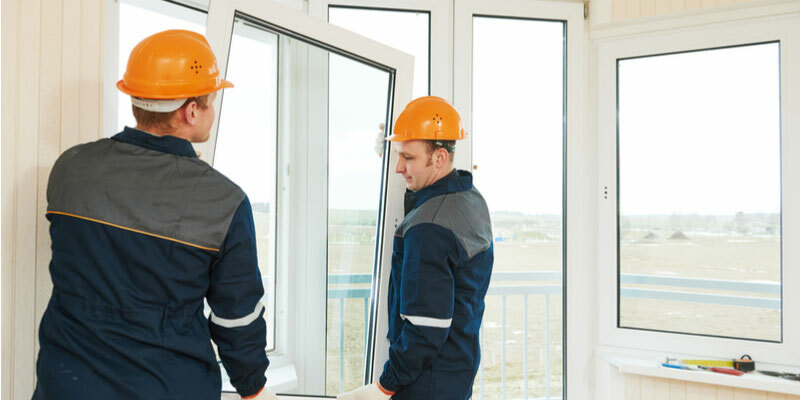 It’s more affordable to add a window to a wall than to knock down the entire wall, especially if you’re dealing with supportive loadbearing walls or walls that contain plumbing or electrical components. Adding a window that looks outside is especially beneficial if there are currently no exterior windows or there is limited natural light in your kitchen. Great lighting instantly makes a room look and feel more spacious, and nothing is better than natural sunlight. Another option is to add a window that looks into a neighboring room, thus giving a more open floor plan without knocking down kitchen walls. This also allows you to entertain guests while you’re in the kitchen without bringing everyone into the space. Make that add-on window larger and it’ll serve as a walk-up bar. Hello, coolest kitchen in town! Just like the window described above, you could open the bar up to another room in your house or to the backyard. Either way, adding bar stools to the other side of the opening lets people feel included in kitchen activities without crowding the space. This instantly makes your kitchen feel bigger whenever you have guests over. And sans alcohol, it gives the kids a great place to do their homework while you cook. Cabinet depth and cabinet placement can trick the eye into thinking a space is bigger or smaller. Design experts recommend installing cabinets a few inches over the standard “18-inches above countertops” to create a larger looking kitchen. Open shelves also create a larger looking space, while upper cabinets tend to make a kitchen feel smaller and more closed off. So why not exchange upper cabinetry on one wall for open shelving? It might help you save money on cabinet costs while making your kitchen look and feel larger. -Non-loadbearing walls. Loadbearing walls support the entire structure of your home and therefore removing them is more work and requires more materials. -Walls that do not have any electrical wiring running through them. Your costs go up as soon as you hire an electrician to come in—a necessity when knocking down walls that contain electrical components that must be rewired. -Walls that do not contain any pipes or plumbing. Knocking down a wall that currently hooks up to your sink, for instance, will require a plumber to do a lot of work. 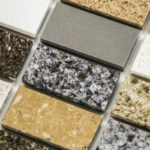 Transform your kitchen without breaking the bank with our beautiful kitchen cabinets, granite countertops and accessories, all offered at wholesale prices you can’t beat. 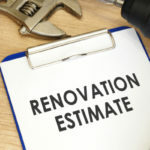 We welcome contractors and homeowners looking to save money on their next remodel. Why spend more when you can get the same thing for less?